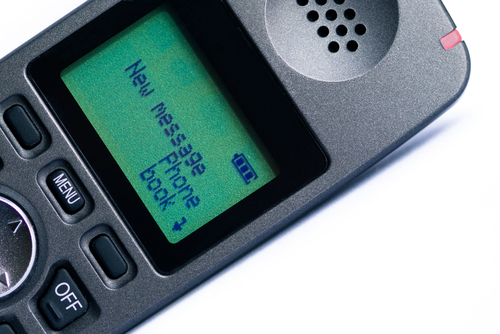 According to Jill Konrath, 97% of all business calls now go to voicemail. Therefore, it should go without saying that all salespeople must be good at voicemail. Not only that, but voicemail can be measured, coached, and improved. Voicemail is here to stay so it’s worth your time to craft, test, score, and review your voicemails. You must be understandable. Drink water, clear your throat, and make sure you’ve got a good headset, audio, phone, etc. If you’re reaching out to a single person, keep it to 17 seconds. If leveraging multiple people at once, add five extra seconds per person. Who have you helped? If you don’t speak with authority, borrow it as a regular practice. Don’t be afraid of strategic pauses. Vary the speed of your delivery. Slowing down in places allows you to speed up later on. For instance, "My telephone number is (pause) 414-555-1212 (pause) Extension 2. I look forward to your call (pause). Thank you." Is your voicemail message reinforced by your website? Is your voicemail message reinforced by your email message? Does your voicemail signature reinforce your overall messaging? 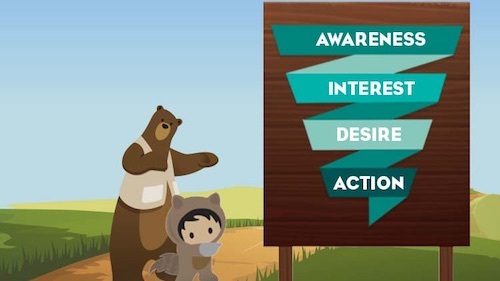 Be consistent across all means of outreach to set the tone for your brand. We’re all trained to pay attention when we hear our name, so say the contact’s name in your voicemail. Get as specific as possible by stating their company name, location, etc. Beware of assumptive phrases such as, “Companies like yours,” which does not feel catered to the prospect. Be specific or go home. If you don’t speak with authority, borrow it. For example, leverage previous successes in the industry, or use industry experts to inspire action. Refrain from cliché phrases such as, “We’re a leader in…” or “We’re best in class.” Instead, be specific and you’ll stand out. Practice on a department that is not your target, such as accounts receivable, customer service or payroll. Employees in these departments are taught to answer telephones and return messages. Ask some questions and you’ll get useful information before asking to transfer to another extension. Don’t forget to coach yourself on your own voicemail message. After all, you might be missing the basics. For example, do you provide an alternative phone number? Do you specifically tell the optimal way to get in touch? Do you recommend a fall back person to call? Did you craft it or wing it? How would you score your voicemails? Consider this spring training and you’re getting ready for the big game. Learn more voicemail best practices in my webinar on June 18th at 11 am PST / 2 pm EST. Click here to register. Donato Diorio is the CEO of RingLead with primary responsibility of combining the teams, technology and vision of RingLead and Broadlook Technologies, a data technology company founded by Donato. Donato started his career as a software engineer and quickly became a specialist in process automation. Software architect first, top billing recruiter second, Donato combined his two careers; technology and talent selection to found Broadlook Technologies in 2002. A recognized thought leader and speaker on data quality and recruitment; two diverse areas technology dependent and process-driven, Donato’s mantra is “Build technology that is the right balance between automation and human interaction.” Executing this vision has delivered consistent innovation for Broadlook and now the RingLead-Broadlook combination. To keep pace with today’s tech-savvy consumers, the smartest sales reps are getting social. This e-book will walk you through everything you need to navigate social selling like a pro.